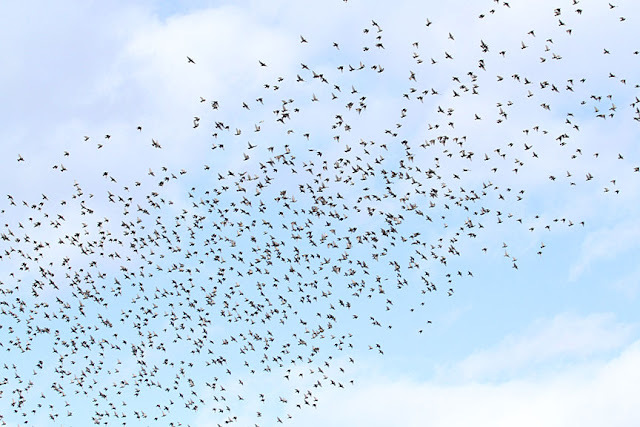 All the European Starlings in North America descended from 100 birds set loose in New York's Central Park in the early 1890s. The birds were intentionally released by a group who wanted America to have all the birds that Shakespeare ever mentioned. It took several tries, but eventually the population took off. Today, more than 200 million European Starlings range from Alaska to Mexico.
. Because of their recent arrival in North America, all of our starlings are closely related. 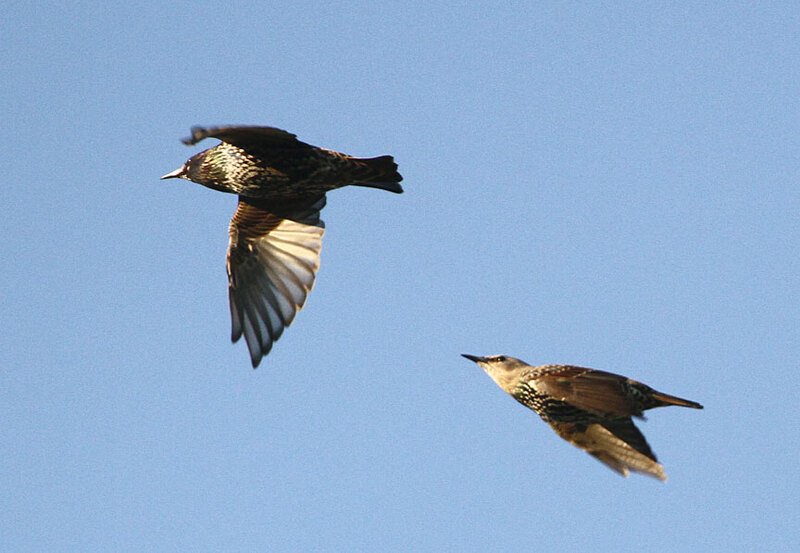 Genetically, individuals from Virginia are nearly indistinguishable from starlings sampled in California, 3,000 miles away. Such little genetic variation often spells trouble for rare species, but seems to offer no ill effects to starlings so far. Males attract mates by singing near a nest site they’ve claimed and flapping their wings in circles at the same time. After they’ve paired, males follow their mates everywhere, chasing off other males. 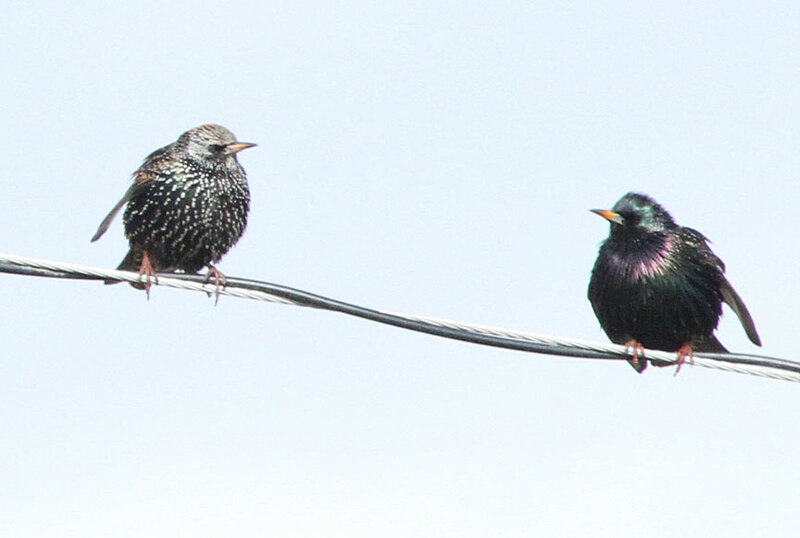 Starlings are extremely aggressive birds that drive other species from nest sites they want to use. Populations in North America are stable. This recent and extremely successful arrival to North America is a fierce competitor for nest cavities. 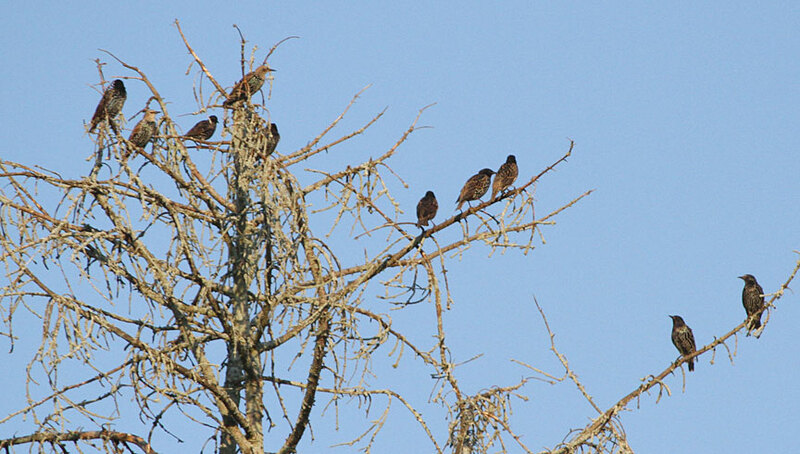 Starlings often take over the nests of native birds, expelling the occupants. 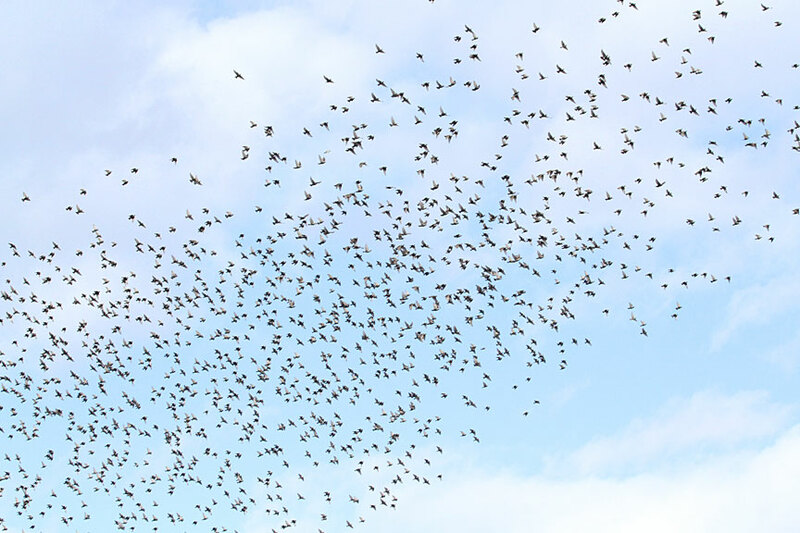 With so many starlings around, this causes some concern about their effect on native bird populations. Nevertheless, a study in 2003 found few actual effects on populations of 27 native species. 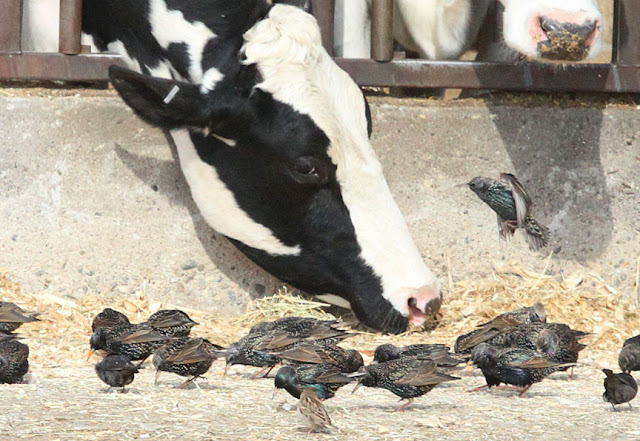 Only sapsuckers showed declines due to starlings; other species appeared to be holding their own against the invaders. I dislike this bird. They swarm my winter feeder and keep the little birds off. Fortunately, my dog dispatches these marauders effectively!